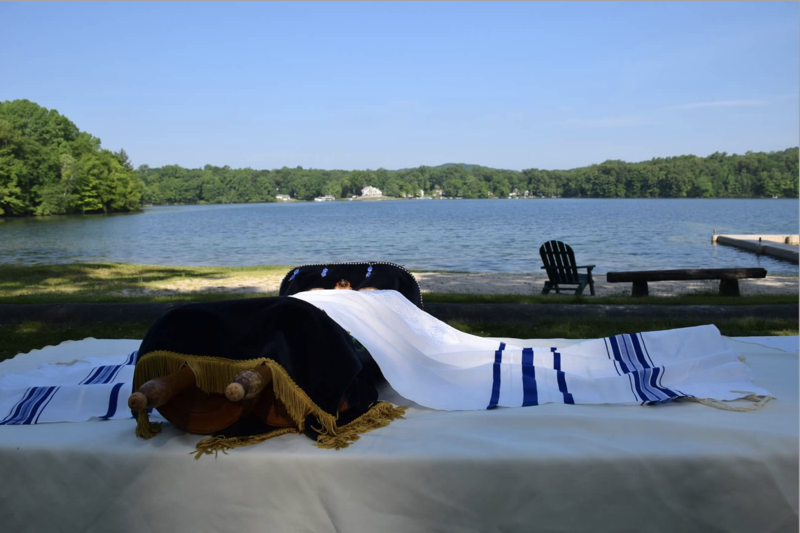 The Kol Ami Retreat is held each year and embodies the best of Kol Ami. It is a celebration of a multi-generational, diverse and dynamic community. In one day you can enjoy everything from lounging by the lake with a good book or good friends, religious study, crafts and drama to sports, dancing and swimming. The retreat is essentially about community. There is the opportunity to participate in lakeside Shabbat services and in religious study groups. But, there is a wide range of activities offered and what you participate in is totally your choice. Whether you join us for the whole time or the day, with your family or by yourself, we know you will have a wonderful time. The 2019 retreat will be held May 24th-26 (Memorial Day Weekend), at the Circle Lodge in Hopewell Junction, an easy 1 hour drive from Kol Ami. We can’t wait to see you at the retreat. If you have any questions please contact us Retreat@NYKolAmi.org. What is the Retreat? Is it religious? The Retreat is a weekend that embodies the best of Kol Ami — a multi-generational, diverse and dynamic community. 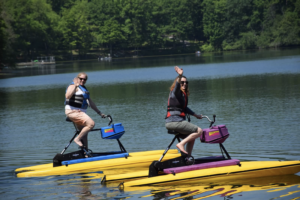 In one week- end you can enjoy everything from lounging by the lake with a good book or good friends, religious study, and lakeside Shabbat services to crafts, drama, sports, dancing , campfires and more. The retreat is essentially about community. Come for the weekend or come for the day! The Retreat is held at the Circle Lodge in Hopewell Junction, NY. It is a beautiful lakeside camp about 45 minutes from White Plains. Adults stay in motel-style accommodations. Children ages 6 and older usually stay in camp bunks with counselors and children their age. Of course, they also have the option of staying with their parents. Will I be comfortable if I come alone? The Retreat is a great way to meet new people. Each year, many adults come to the Retreat on their own. But, they are never “alone”! We are all together as a community. We have young children – how will they spend their time? Children have their own extensive list of activities to choose from. a group of experienced counselors (most of whom have grown up at Kol Ami) will provide your children with fun activities and make sure that they are cared for and supervised while you attend the activities that interest you. For younger children, there are special activities at our Children’s Center, supervised by experienced staff. Babysitting is also available at night at an additional charge. And, of course, there are lots of things to do together as a family. Is there a specific schedule that I have to follow? Each day the activities are as diverse as Kol Ami is! While scheduled at specific times, you can come and go as you choose. There is NO pressure to attend any of the activities. Whatever you choose, we guarantee laughter and memories that will last until the next year brings us back together.